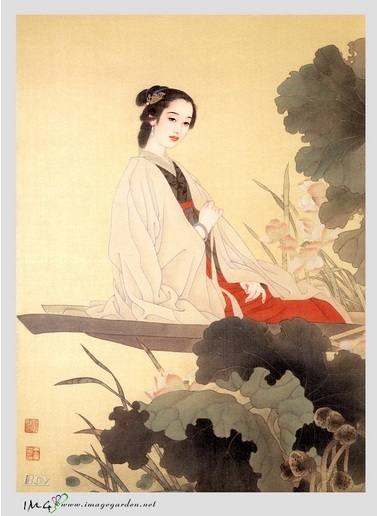 李清照/Li QingZhao, the very talented Song dynasty poetess; Mum’s favourite classical poetess and her ideal heroine. For Mum, Li QingZhao was the historical role model all modern women can look to, especially during the fiery women’s Lib movement of the 60s and 70s which Mum was a part of. The emancipation that comes from an education, the freedom to choose and love; all these were not just issues facing modern Asian women, Mum used to argue, Li QingZhao in 11th century Song dynasty China faced down all these challenges and was already a prime example of liberation and triumph over conventions. Mum used to wax lyrical about 李清照/Li QingZhao’s poems, and especially how the love between Li QingZhao and her husband, as well as their shared love for literature and their precious collection of etchings of ancient epigraphs, was the kind of love and relationship she dreamed of as a young girl. Many of Li QingZhao’s lines and verses have entered into common Chinese language and usage, especially of words describing the sorrow and melancholy of her partings from her husband, and of the grief and loss of her early widowhood and the vicissitudes of war. I slowly loosen my silk robe, and boarded the (ornamental) boat alone. Who is it that sends a (precious) brocaded letter from across the clouds? Wild geese returning (flying in their 字 formation, bearing news), the full moon fills the west chamber. One same love and yearning, brooding and lamenting in two places (hearts). Just at the moment it seems to be lightening from my brow (easing), it is weighing upon my heart. This flash video is a must-watch. The creator lovingly painted his/her impression of Li QingZhao’s poem above, and set it to the same song but sung by a different singer. Very well done. Exquisite. 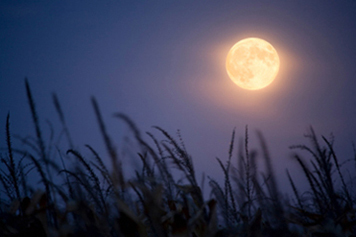 It was the mid-autumn full moon, the largest full moon of the year, over the past two nights. Unfortunately, with the returning haze and overcast rainy night skies, there was to be no large and looming, wide-as-a-double-yolk-mooncake, and right in your face, full moon this year. So sad. As I walked each night, I watched the shy young moon, at first hiding its slim face and only daring to peer bashfully from behind the dark veil of the night sky, grow slowly larger and bolder with each passing night, getting less and less timid before finally stepping forth to reveal herself in her entirety and gazing proudly down at her admirers below. And following a family tradition, each night as I watched, I will recite in my mind any one of our favourite poems on the full moon theme, paying homage to Chang Er, ancient poets, and family alike. (cf. Tu Fu, The Autumn Wastes, No. 4). The lamp grows deep in the mica screen. The long river slowly descends, the morning star drowns. Between the blue sky and the emerald sea, thinking night after night? First calls of the migrant geese, no more cicadas. South of this hundred-foot tower the water runs straight to the sky. Rivals in elegance amid the frost on the moon. Father’s favourite way to learn a language is to read its acclaimed literature and poetry, especially well-regarded translations and to ‘improve’ on them with his own translations. And A. C. Graham’s beautiful and very sensitive translations of Chinese poetry was one of father’s primary sources for refining his grasp of the English language, with father being of course very intimately acquainted with the old Chinese poetry and literature that was Graham’s main material and subject. And father’s old copies of Graham’s books and translations are filled with notes of his own translations back and forth between the two languages. And I love Graham’s books and translations. He has to be one of the finest Sinologist with a keen grasp of the nuances of the Chinese language. His essay “The Translation of Chinese Poetry” contains some of the most insightful analysis I have seen on Chinese prose and verse. 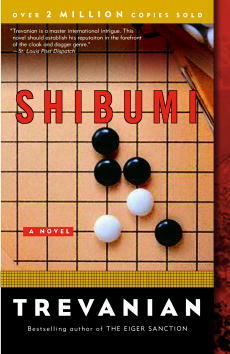 Originally published in 1979, Shibumi has made the greatest impact among Trevanian fans and remains today his most revered novel. Trevanian, (answering written questions from Judy Quinn of Publisher’s Weekly, in 1998) said about it. I was still obliged to give my publisher another book. Another “Trevanian” book. I swallowed this bitter pill and decided I would indeed write another book within the super-spy genre, but although it would be published under the name Trevanian, it would be written by an altogether different persona. Like The Main before it, and like the books that were to follow, this would be a real novel hidden within a popular genre. I dug back into my youth in Japan and worked up a writer for Shibumi, a book just barely within the conventions of the slam-bang super-spy, but one that offered the reader a virile style of excellence that had nothing to do with force, braggadocio, or violence. It blended a good yarn with a life-philosophy, and was an instant international success. After this book — a bestseller all around the world, even in such languages as Finnish, Hebrew, Turkish and Polish — I had abandoned the super-spy genre. After the definitive exercise of the genre that was Shibumi, there was no point in me writing further in this genre … or anyone else, for that matter. In other words, by abandoning the genre just after writing one story which became a trendsetting bestseller, Trevanian had exercised the very essence of Shibumi he was writing about. Shibumi is, broadly, a parody of the spy novel genre, but Trevanian also incorporated pieces of philosophy and highly-specific cultural observations in the work, most obviously with his portrayals of American (and, more generally, western) culture after World War II. Trevanian himself echoed his hero Hel’s dislike of western materialism in the few interviews he gave to the press. 1. Fuseki : The opening stage of a game when the entire board is taken into account. 2. Sabaki : An attempt to dispose of a troublesome situation in a quick and flexible way. 4. Uttegae : A sacrifice play, a gambit. 5. Shicho : A running attack. 6. Tsuru no Sugomori : “The confinement of the cranes to their nest,” a graceful maneuver in which the enemy stones are captured. Trevanian’s (Whitaker’s) character Hel was supposed, in the novel, to have written an analysis of Go which was in fact a spoof of the game. In the book-within-a-book, the commentator’s attempts to attach spurious significance of life and philosophy to what were, in fact, clumsy and amateurish maneuvers was a part of the spoof. The use of subtly mis-stated Go figures to rationalize the structure of a novel that was in itself a spoof of the incompetence of people who believe they run the world is an indisposable pillar of the satire. And while I definitely picked up this book as a high-adventure minded boy for its obvious appeal in genre and rather intriguing alternative oriental theme (Nicholas Hel is no James Bond or Dirk Pitt! ), what really drew me was that the book opens with a scene set in a Japanese-occupied Singapore in the 1940s. Although Trevanian was rather off the mark with some of the descriptions of the game of go or weiqi and its associations, as well as of martial traditions and practice, his expression of meditation and its potential to bring about heightened senses/awareness, especially for a pugilist/practitioner, was startlingly penetrating. A book I thoroughly enjoyed as a boy, despite its annoying (double-reversed) cultural bigotry and historical inaccuracies. Glad that Trevanian wisely terminated the franchise at just one book.